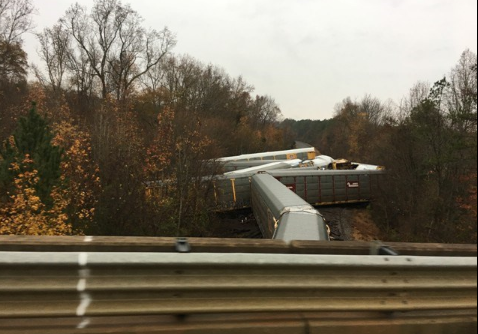 JENKINSVILLE, S.C. -- A train carrying BMWs from an automaking plant in South Carolina derailed, damaging 97 of the vehicles, authorities said. The train was heading from a BMW plant in Greer to Charleston when it derailed shortly after 3 p.m. Sunday, officials said, CBS Charleston affiliate WCSC reported. It was carrying almost 100 BMW cars, according to WCSC. Two locomotives and 10 train cars were also damaged in the derailment, which occurred near the state’s capital Columbia. Officials say no one was hurt but that motorists in the area of the derailment should expect delays because heavy equipment is being brought in to set the rail cars upright and repair the tracks.